South Hampstead enjoys a number of Bar and Bat Mitzvahs each year. Each Bar or Bat Mitzvah is held on its own so that every young person has their own day and special time. Please contact the shul office within 3 years of the bar/bat mitzvah to diarise a Shabbat date for your special occasion. Bar or Bat Mitzvah lessons should generally commence 1 year before the celebration. If you would like guidance or selecting a teacher or recommendations of top quality teachers please contact Rebbetzin Lauren regarding a Bat Mitzvah or Rabbi Eli regarding a Bar Mitzvah. This discussion about finding the right teacher should take place approximately 18 months in advance of the simcha. For all Bar and Bat Mitzvah families, approximately a year in advance Rabbi Eli or Rebbetzin Lauren will touch base with you regarding the shul ceremony. In school year 6 girls & mums (or dads) will be invited to join Rebbezin Lauren’s monthly Mums & Daughters Bat Mitzvah discussion group. This is not instead of 1-1 Bat Mitzvah tuition but more of a group learning and social experience. In school year 7 boys and girls will be invited to join the monthly SHkoyach programme which takes place with our youth directors and includes the fabulous UJIA Ethiopian twinning programme. In school year 8 boys and dads (or mums) will be invited to join the Lads & Dads Sunday morning tefillin and bagel group. It doesn’t stop there. We hope your child will continue to be involved in South Hampstead Youth activities ranging from the Jewish Studies GCSE to movie nights and from Shabbat morning programmes to mid-week leadership training sessions. To find out more about our super youth directors and the South Hampstead Youth activities please click here. Bar Mitzvah boys can attend the morning service on a Monday or Thursday closest to their 13th birthday by the Hebrew calendar. They are called up to the Torah for the first time and recite the short blessing that they have already learnt for their big day. A little l’chaim is said after the service and there is an opportunity for family photos. The Shabbat celebration can then take place within two or three months of this date. 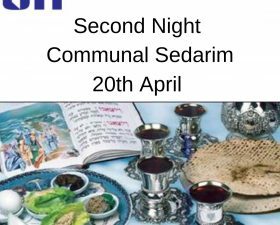 For girls, South Hampstead has pioneered bat mitzvah ceremonies on Friday night or Havdalah as Shabbat goes out. These make for lovely ceremonies in the presence of family and friends. Alternatively the bat mitzvah can be celebrated on Shabbat during the service. To find the Hebrew date of a Bar or Bat Mitzvah use the Date Calculator.